A Staffordshire accountants generated a £15,000 worth of new business within a couple of months of their LinkedIn training. UPDATE DECEMBER 2016: We have since been informed that The Chartwell Practice has generated a further £30,000 as a result of our LinkedIn training! 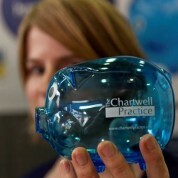 The team at The Chartwell Practice had been using LinkedIn for several years but realised they weren’t getting the most out of it. Status Social was asked to come in and train their staff so they could help bring in new clients through the powerful business-to-business social network. Having problems viewing this video? Watch it on YouTube here. 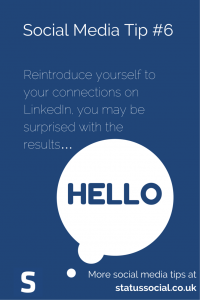 Frank: “One of the things we wanted to do (as part of the LinkedIn training) was change our profile and make it much more detailed but also look at who we were connected to. “I spent time going through those connections and looking at how we could involve those people in a small networking group that I’ve got going. “I actually went through those contacts individually, emailed them through LinkedIn to reintroduce myself and to tell them what I was doing and through that it generated a client for us who was probably worth around £15,000 over the next few years. Want to know how you can generate £15,000 and more from LinkedIn? Then contact us by clicking here.